1000 Hills,No steps,ID Pool,Jacuzzi,Fireplace,WiFi,VET Disc. . Location, location, location. With the indoor pool 20 ft outside your backdoor and the beautiful 1000 Hills golf course at your front door, just how good can it get? Also, you're only 1 1/2 blocks from the famous 76 Strip!! This 1 level walk-in condo is within easy walking distance to several shows and restaurants It is equipped with new kitchen cabinets, cook top, refrigerator and also has a dishwasher. It has a dual recliner, electric fireplace in the living room and new 37' wall mounted TV. For longer stays it is also equipped with a new washer and dryer. The large bedroom has a comfy king size bed with a compliment of nice furniture. Also, in the Br is a large 2 person Jacuzzi tub. There is a separate bathroom with walk-in shower. PERFECT for Seniors and Honeymooners alike.! We stayed here for a week on our first trip to Branson. The location was perfect. We ate twice at the restaurant just down the street, Florentino's. It was delicious. The condo was roomy and had everything we needed, even a magnifying mirror to put on my makeup. The bed was so comfortable. I say just like home, but better, because it was cleaner than home and more updated. Thanks. We would love to stay here again. Thank you Becky, appreciate the good word. Hope your Holidays are the best this year!! Perfect for everything we needed plus more. This was our fourth stay at the condo, and the only reason it's not more is that sometimes we have bring our dog with us and have to find a pet friendly hotel. This condo couldn't be any more centrally located. It has everything you could possibly need. 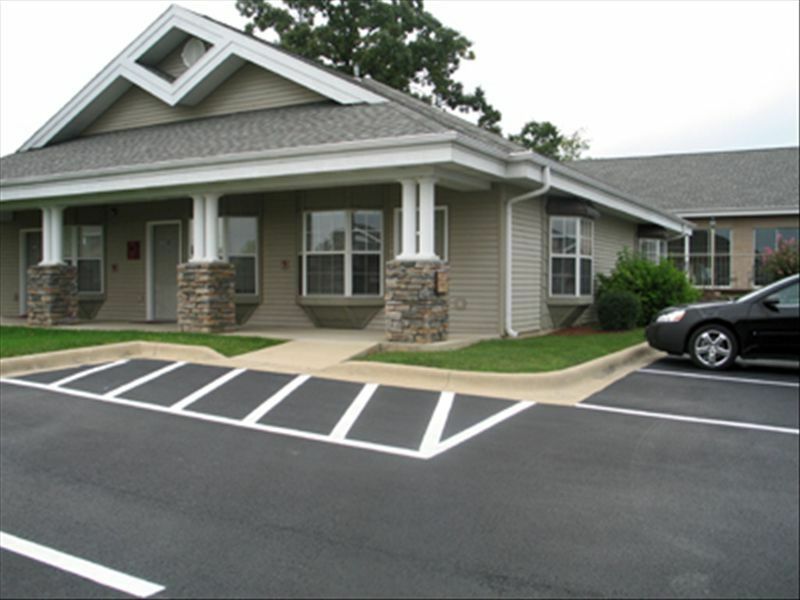 The door front parking is great for two seniors who've had hip/knee replacements and can't walk long distance. No steps! Very tastefully decorated. Mattress is awesome! Indoor pool is always a plus. The large tub is great for soaking and reading. Terry is very easy to work with for anything you need. We love having two TVs so no arguing over watching sports! The bedroom TV may need replaced soon as the volume has to be turned high to be heard when the air conditioner is on and the picture isn't as clear as it once was, but it's certainly suitable for a bedroom. Can't wait to return next year! Thank you very much for your great review, it was a pleasure having you. Hope the rest of the year is a happy and healthy one for you and yours.